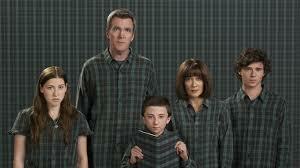 One of my favorite TV shows is ABC’s The Middle. You know, the show about a family struggling just to get by. The character I like best is Brick, the youngest of the Hecks who is a genius yet oddly strange. (“Oddly Strange,” he whispers to his chest.) I also like Mike who my kids say I resemble, until I threaten to cut off their food supply. Watching The Middle reminds me that some people conduct their job search as if it’s…The Middle. How, you may wonder? Think about the way the family never seems to get ahead, how their lives remain the same; and despite the fact that the show makes us laugh, we find it somewhat depressing. This is my point. There are 10 signs of your job search that resembles The Middle. No game plan. Does this not describe the Heck family to a T? Having a plan and goals also means you need to know what job you want to pursue, which can be the most difficult part of the job search for some. Without a plan, you’ll have no direction, which is essential if you don’t want to be stuck in The Middle land. A résumé that fails to brand you. Most important is writing a résumé that is tailored to each job, showing employers you can meet their specific needs. A Summary that fails to attract the attention of the reader, lacking a Core Competency section. no accomplishments to mention; are all signs of a The Middle job search. No online presence, namely LinkedIn, the premier social media application for the job search. At least 87% of recruiters/employers use LinkedIn to find talent, so if you’re not on LinkedIn you’re definitely hurting your chances of advancing in the job search. A cover letter that doesn’t excite. You’re writing cover letters that fail to express your personality and are, well, boring. Worse yet, you’re sending form cover letters that don’t show you meet the specific requirements of the job. Further, you’re a believer of not sending cover letters. The Middle material for sure. Only applying online for positions. I’m not saying not to use job boards, but don’t use them as the foundation of your job search; networking still is, and will be, the most successful way to find employment. Don’t be fooled into thinking that sending out hundreds of applications will advance your job search…definitely reminiscent of The Middle. Networking isn’t part of your vocabulary. If you’re not going to networking events, meet-ups, or connecting with everyone you know, you’re missing the boat. Networking is proactive and a great way to uncover hidden opportunities at companies/organizations that may be hiring. Informational interviews are alien to you. The goal behind information interview is networking with people who are in your desired industry and selected companies. Impressing the people with whom you speak can create opportunities that might include being recommended for a job developing in the company, or may lead to speaking with other quality connections. Following up with potential connections is missing from the equation. You’re great at meeting people at networking events or other places to connect. You promise to e-mail or call your connections. But you don’t. This is a sure way to be stuck in The Middle, where nothing seems to change. Preparing for interviews as an afterthought. Oops, you go to interviews without having done your research on the position and company. You think you can wing it because you know your business like no one does. You’ve heard of behavioral-based questions but aren’t too concerned. You don’t get the job because of your lack of preparation. Not sending a follow-up note clearly says you don’t care. And simply thanking the interviewer/s isn’t enough; show the interviewers you were listening and engaged by mentioning some points of interest or revisiting a question you didn’t elaborate on. If you want to remain in The Middle, don’t send a follow-up note. But if you want the job, show the love. And no form thanks-yous please. The Middle teaches a good lesson about how we need to put more effort into the job search. Doing a few of these activities does not make a successful job search; they must all be done to shorten the search. Can you think of other components of the job search that are necessary to make it a success? If you enjoyed this post, please share it on LinkedIn and Twitter. This entry was posted in Career Search and tagged cover letter, follow-up, informational interviews, interview, LinkedIn, Networking, resume, Thank You Note, The Middle on April 30, 2014 by Things Career Related.